Welcome to the second edition of our monthly Dear YPG series! If you have questions for our knowledgeable columnists, email them to youngtopublishing@gmail.com-–all questioners’ identities will be kept anonymous! What is NetGalley and how does it work? How do books end up on there? Before we look into NetGalley let us first investigate the root of the word “galley.” Similar to an Advance Reader Copy (ARC), galleys (traditionally printed and bound) are early versions or “passes” of a manuscript. Galleys are sent to reviewers, booksellers, librarians, and various media outlets prior to release. Like ARCs, galleys are not final works, so they best serve as tools for sales, publicity and marketing group initiatives. With so much content being distributed electronically, it might come as no surprise that galleys too are now available in an electronic format. NetGalley is one of the premier third-party distributors for electronic galleys (e-galleys). NetGalley uses a web-based service for access to its database of e-galleys uploaded directly from publishers. Being web-based means that registering and setting up a personal account is relatively straightforward for those with basic browser familiarity. There is no cost for setting up a personal account. Publishers pay a one-time setup fee and then a small monthly fee based on the amount of e-galleys they make available. Once an e-galley uploads to the server, publishers then select those who may have access to the content. E-galleys uploaded to NetGalley, available from many major publishers, are available on all major reading devices and tablets as long as the reader downloads Adobe Digital Editions software (also a relatively straightforward process). In addition to those restrictions, publishers can set up widgets for distribution that limit access to a specific amount of copies that may be distributed by a recipient. By restricting access in these ways, content is not open to public access, which could result in early copies of the work being illegally distributed. But while it may be the most prolific, NetGalley is not the only e-galley distributor out there! Some publishing houses (Simon & Schuster most notable among them) have their own proprietary e-galley distribution programs, and Edelweiss (a partner of NetGalley’s) handles e-catalogs and digital review copies for many of the major houses. 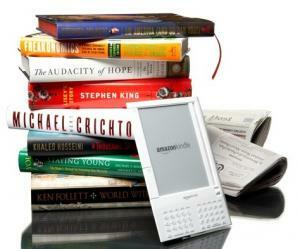 More and more organizations and individuals, specifically bloggers and librarians, are taking advantage of e-galleys. There are still those who do not accept galleys electronically, so printed ARCs and galleys are not obsolete. Those open to e-galleys are experiencing a full complement of resources and communities. As a result the numbers of reviews that generate from e-galleys are skyrocketing. In a January 2012 article from Media Bistro’s online blog GalleyCat, Firebrand Technologies founder Fran Toolan tweeted a big statistic about his company’s digital book review service today: “over 45,000 reviews were generated in 2011 from reviewers using NetGalley. A 500% increase over 2010.” In spite of this, e-galleys still are yet to garner mainstream acceptance. Many reviewers within large organizations have not adopted the technology, and some notable individual reviewers are unwilling to accept e-galleys. Like all content these days, printed or electronic, e-galleys are traveling down that winding road toward the destination of coexistence. For further dialogue on the topic, check out this article in Publishing Trends. Production Manager, Bloomsbury Publishing Plc. What are the biggest trade shows in the industry, including BEA, and what purpose do they serve? The biggest trade shows each year are the Frankfurt Book Fair, London Book Fair, BookExpo America (BEA), and the Bologna Children’s Book Fair. In the simplest of terms, trade shows exist so that industry professionals can spread the word about their books. The fairs are multifaceted and as a result are attended by a diverse group of publishing professionals. Agents attend to sell manuscripts and proposals to prospective publishers. The editors who attend Frankfurt and London are typically those with international taste, and they are searching for the next big manuscript. The foreign rights departments pitch their upcoming titles to publishers in other countries in hopes of making foreign sales. Scouts meet with foreign rights holders at both publishing houses and agencies in the hopes of finding good titles for their clients. Recently, some of the fairs created a public day where interested readers could see the inner workings of the publishing industry and get a sneak peak of upcoming titles. In addition to all of the buying and selling that occurs at the trade shows, each day is packed with conferences, panels, and seminars that explore the newest trends and technology in publishing, the future of the industry, and the ever-changing methods of discoverability. These seminars give attendees rare access to the minds of leading industry professionals. At the end of each day there are dinner parties and meetings over drinks to attend. Rumor has it that the majority of deals are sealed during these coveted meeting times. Networking and making good connections is essential in the publishing industry, and, most importantly, the fairs serve as the best time to create and maintain good working relationships with publishers, agents, scouts, and editors throughout the world. For information about these and other gatherings, check out the Publishing Events page here!